How far can the new-look Rangers go in 2012? 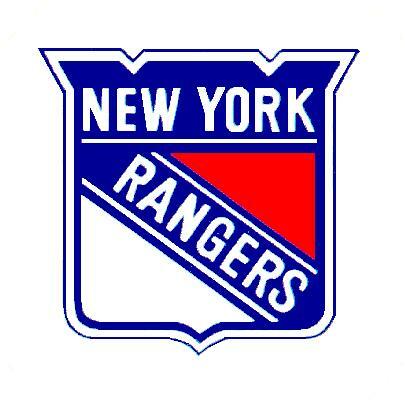 The Rangers have happily held the identity of a responsible, defense-first team in the past few years. 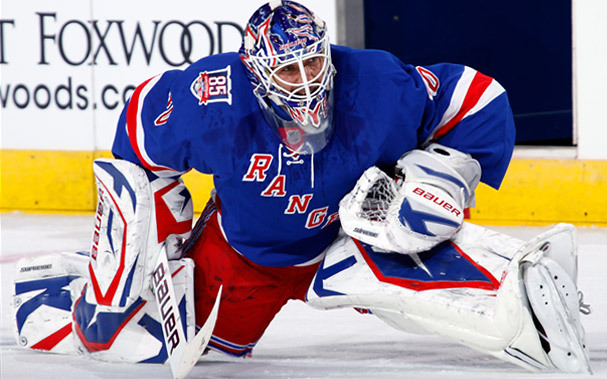 With Henrik Lundqvist at the helm, the Rangers seem to be in nearly every game they play. This year, they’ll hope for some better luck on the health front. At some point last year, Gaborik, Callahan, Dubinsky, and Chris Drury were all injured. The addition of Brad Richards is the big transaction to take note of here, but they have a great corps of forwards with Wolski, Stepan and Anisimov likely to develop and turn in even better seasons. Henrik Lundqvist holds the fort in goal. One of the NHL’s premier netminders, he seems to play better in big games and now has the support of a rapidly improving—albeit young—defense. 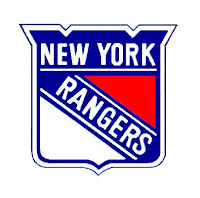 Marc Staal and Dan Girardi lead an underrated back end in the Big Apple. Staal blossomed last season and if Michael Del Zotto can regain his rookie form, the Rangers blue line will look pretty solid. This season, they have a chance at winning the division. They will probably compete for that honour with the Devils and Flyers. Expect them to make the playoffs and perhaps advance deeper from there. Forwards The Rangers boast a nice blend of forwards that should have no problems scoring this year. Brad Richards The highly touted acquisition in the offseason will form an instant pairing with Marian Gaborik. Richards’ playmaking and Gaborik’s goal scoring seem like a match made in heaven. If all goes well, Richards could hit 85-90 points. Marian Gaborik One of the more dynamic players in the game today, Gaborik also has a penchant for injuries. He could hit 70-75 points, but that’s assuming he’ll his 10-20 games due to injury. 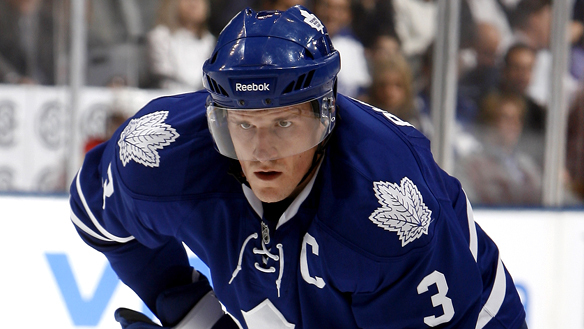 His points per game should be top notch this year, and he could hit 30-35 goals with modest luck on the injury front. 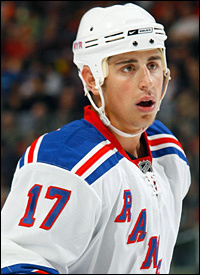 Brandon Dubinsky Dubinsky averaged nearly a point per game before injuries forced him to miss time. When he returned to the line-up he was not as effective. If he lands on the right line, he could keep up that pace all year. A minor breakout may be in the cards for Dubinsky. Ryan Callahan Callahan is a workhorse. A heart and soul kind of player that leads by example, but last year showed he can become prone to injury. He can plays on special teams as well and could hit 50 points if he manages to stay healthy. Derek Stepan An opening night hat-trick kicked the year off in style for Stepan. He was a little hot and cold but wound up with a strong year. Improving upon his numbers slightly and nearing 50 points is distinct possibility, especially if he winds up centering some talented wingers. Artem Anisimov The big Russian teases with his skill and scores some highlight reel goals. Sooner or later he’s going to break out. If he can snag a top-6 spot, this may be his year, but he may be duking it out with Stepan for that role. Wait and see, but don’t miss the boat on this guy. Matt Zuccarello The under-sized Norwegian burst onto the scene last year and dazzled in the shootout, while adding some offensive pizzazz to a pop-gun offense last year due to injuries. This year, Zuccarello will look for a more permanent role, and some more points should follow suit for the young man. Wojtek Wolski The up and down Wolski played his best in Colorado. He struggled in Phoenix and was up and down in New York towards the end of last year. If he finds chemistry on a scoring line, he could do quite well, but someone else may have to be the defensive conscience of that trio. Marc Staal Staal, largely regarded as a shutdown defender, showed some offensive promise last year and logged major minutes in virtually every situation. He is evolving into a more complete defender and should be able to surpass the 30 point plateau easily this year. Dan Girardi Girardi is the elder-statesman on the Rangers’ blueline, but is still young and getting better. He’s not an offensive wizard, but will be given the chance to hit 30 points. While Tim Thomas, Roberto Luongo and Martin Brodeur frequently receive Vezina talk, Lundqvist is always knocking on the door. Pekka Rinne, Carey Price and Ryan Miller may challenge as well, but this could be Lundqvist’s year. 40 wins seem within reach, along with 6-8 shutouts. Martin Biron A very capable and vocal back-up, Biron is a team guy who will fill in admirably for Lundqvist whenever the premier keeper needs a night off. Ryan Callahan Callahan is another player who flew under the radar a bit last year, despite posting career best numbers. He is a heart and soul guy who may get a chance alongside Brad Richards. Since Richards is a player who makes those around him better due to his premier playmaking abilities, expect a boost in production from whomever is playing on his line. For Callahan, that could mean 50+ points. The 6’2” Swedish blue liner may find himself in an enviable position. While Brad Richards can play the point on the power play quite well, none of the Rangers current defensemen are labelled as offensive specialist. That may leave the door open for a defender with offensive talent such as Erixon to command additional ice time in prime situations. If he acquits himself well and earns a spot, he could provide 20 points or more this year. A mid-season injury and late-season struggles hide Dubinsky’s tremendous first half where he nearly averaged a point per game. A skilled forward with a good work ethic, he may be the defensive conscience on a line with Gaborik and/or Richards, which should only mean good things for his point totals. Indeed, his 38 points in 45 games to open the year suggest he could hit 60+ points this season, with considerable time on special teams as well. If Dubinsky isn’t available, Stepan or Anisimov may also break out this year.